It’s safe to say we don’t need another Spider-Man movie, but Into the Spider-Verse challenges that notion and provides another superhero entry that would make even the MCU blush. 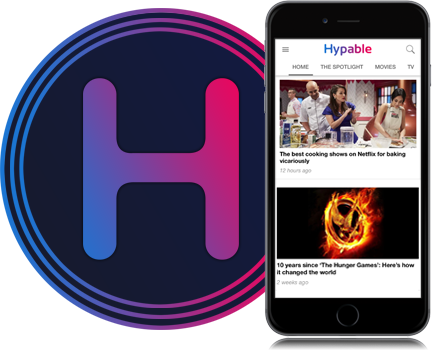 It dives into bold and exciting new territory while feeling comfortably familiar, and as a whole comes to the playing field as a bit of a high-concept dare — and it totally pays off. The first thing to notice about this superhero movie is how it cleverly skips over the origin story. We open on Peter Parker as Spider-Man, who tells us we know how this story goes. The web-slinging hero is already a household name and is in the popular cultural conversation as much as he is in the real-world, complete with merch and comics, but the only difference is that he actually exists. From this twisty, clever introduction, we already know we are in good hands with Phil Lord, who is credited for the story and co-wrote the screenplay with Rodney Rothman, a collaborator on 22 Jump Street. Lord brings the same high-energy, feel-good optimism and unabashed enthusiasm for creativity and imagination as he did with Chris Miller and their Lego Movie. There’s a thread of tongue-in-cheek humor and self-awareness that is always welcome and never feels cloying. Sony has been scrambling to re-claim Spider-Man ever since the ill-fated Marc Webb entries starring Andrew Garfield. With Spider-Verse, they’ve absolutely re-captured it with a plan to launch a whole new franchise, and it feels exciting rather than a blatant cash-grab (of course both things can be true). Between this and Ryan Coogler’s Black Panther, it’s been a hell of a year for superhero movies. Yes, I’m choosing to ignore Avengers: Infinity War. What’s best here is how the eye-popping, explosive, wildly colorful proceedings all boil down to a very simple and heartwarming coming-of-age tale. 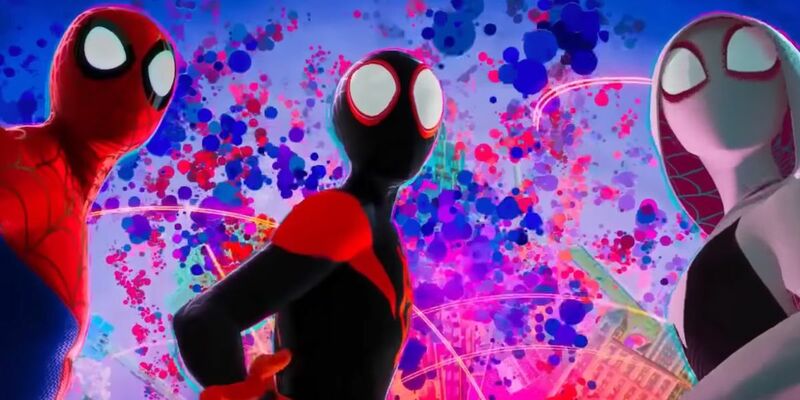 At the center of the movie’s beating heart is Miles Morales (Shameik Moore) who learns to grow into his own powers that were thrust onto him and trust his own abilities. This is a story where friends and family come first and grown men aren’t afraid to say I love you. It’s bursting at the seams with compassion and characters who truly care about each other, and that’s just the cherry on top. The thrust of the action centers around the death of Peter Parker (Chris Pine) at the hands of Kingpin (Liev Schreiber) and with Miles standing by as a witness. But when Peter B. Parker (Jake Johnson) bursts onto the scene, it becomes quickly apparent there are multiple universes and multiple timelines that are coming together into one due to a contraption Kingpin has taken control of. It all becomes very kooky and metaphysical but never too hard to follow. 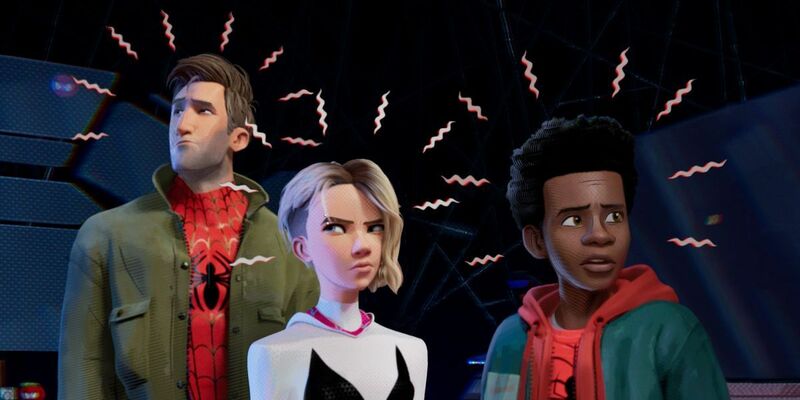 Soon, a group of Spider-people join up to save the day, including Spider-Man Noir (Nicolas Cage), Peni Parker (Kimiko Glenn), Spider-Ham (John Mulaney) and Gwen Stacy (Hailee Steinfeld). The spirit of such a diverse cast of characters coming together to turnover a powerful, unhinged leader is resonant and reminds us what’s so important about reinvigorating the genre. The voice cast across the board is rich and inspired, which also includes Kathryn Hahn as Doc Ock and Lily Tomlin as Aunt May. And the animation style is truly unlike anything you’ve ever seen, blending hand-drawn and CGI in a way that encapsulates the spirit and look of comic books. Scenes are thrillingly staged and choreographed, and all the action flows, zips and zags so effortlessly thanks to the direction of Bob Persichetti, Peter Ramsey and Rodney Rothman. There is one scene that stands out most of all and instantly took my breath away. Miles finally comes into his own as Spider-Man and has a triumphant moment of web-slinging through the city, a sequence so beautiful and invigorating, it brought me to tears. Spider-Man: Into the Spider-Verse is surprisingly about a lot of things, more than just being a superhero and saving the world. It’s about finding yourself, living up to your full potential and not taking your loved ones for granted, both your family and your chosen family. This is one of the best movies of the year.